Inspiring our future law and justice professionals. We provide activities and advice to high school students contemplating careers in law and justice. Students gain insights into legal and justice professions through interactive and educational programs, such as mock trials and law library tours. These activities are recommended for students in Years 11 and 12. Our Gardens Point campus is located in the Brisbane CBD, so public transport is readily available. In the mock trial, school students play the roles of the judge, prosecutor, defence, witnesses, defendant and bailiff in a realistic setting. Students learn about court procedures, legal terminology and sections of the Queensland Criminal Code. 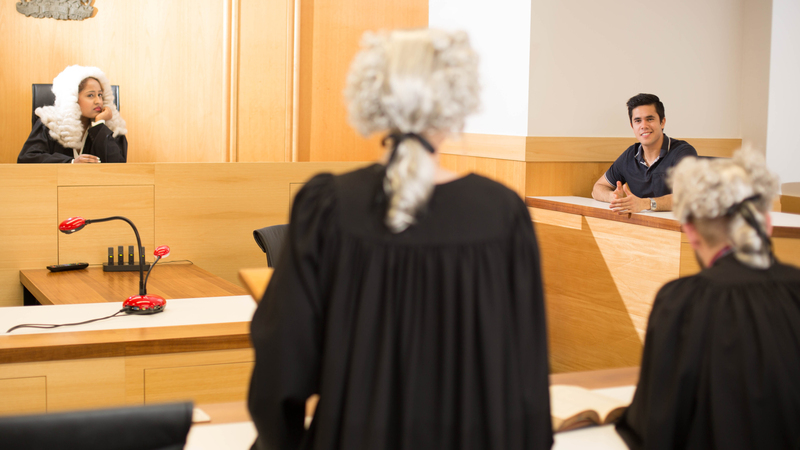 The mock trial is an interactive program that enables students to answer questions about court procedure and come to a conclusion as to the guilt or innocence of the accused. 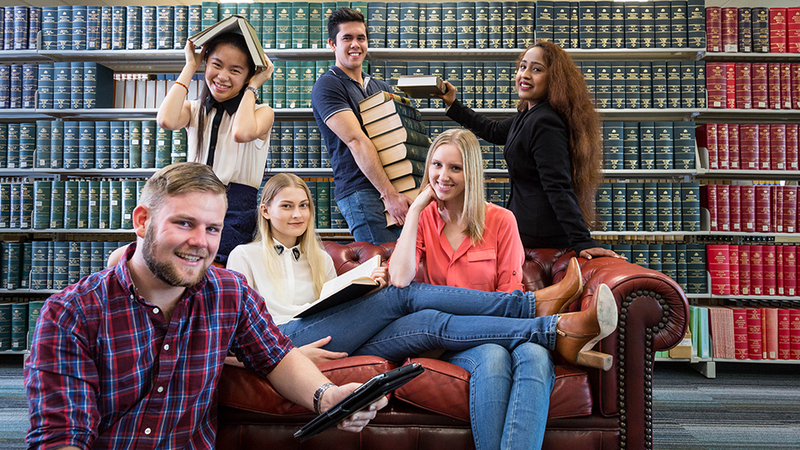 Legal research talks and workshops introduce students to university resources and facilities. Our expert librarians offer tips and tricks for legal assignments, and students can gain access to online information. To enquire or book a high school visit, contact the Business Development Team.